The term ‘agile working’ has been used to describe various ways of working over the years, which has made things a little confusing when trying to define what it really means. So, what does it really mean and how can adopting an agile approach benefit your organisation? 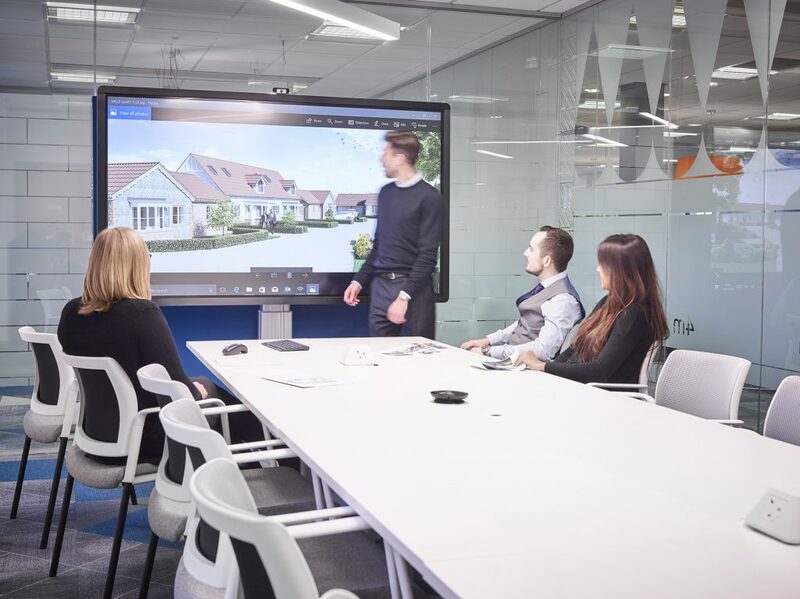 An example from our project at rg+p of an informal ‘meeting’ space adjacent to staff desks, providing space for collaboration. Central to a successful agile working environment is the ability of an organisation to remain responsive to developments and adapt quickly to change. Staff may benefit from incentives such as remote working, flexible hours or unlimited days off. Companies offering these types of incentives have previously reported successful outcomes such as increased productivity and less employee turnover. Agile work environments often allow more fluidity in job roles and the division of labour, making work more varied and interesting for employees. Agile working cultures prioritise speed when carrying out tasks or in decision-making. The fluidity in job roles and less formal rules and regulations complement this. More people are available to complete any given task and feel empowered to do so in a way that suits them. Possibly most importantly, an agile organisation provides spaces for their staff to adopt agile working practices. 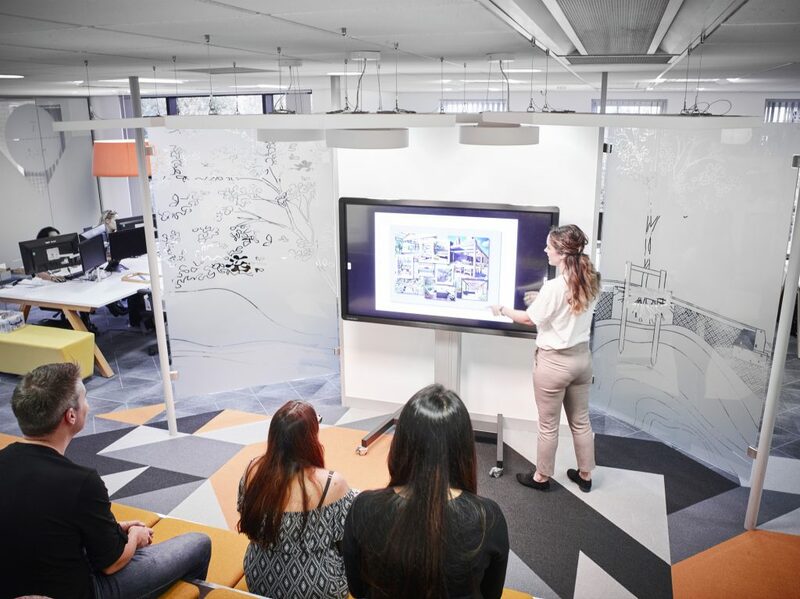 Giving staff space to focus, collaborate or to use technology to connect with a colleague working remotely are all examples of how your business can facilitate an agile approach. Flexible desk space adjacent to computer desks, providing a range of workspace options for staff at rg+p. Is agile working the same as flexible working? In short, no. Agile working goes beyond flexible working in that an agile approach can be applied wherever and whenever you are working. By its very nature, it’s about what works best to enable an organisation to carry out its activities as efficiently as possible. This can relate to how your office is physically designed as well as the culture of your workplace. Flexible working (where and when you work) may be a part of this, but being agile also encompasses how work is carried out and by whom. Ultimately, agile working encourages maximum flexibility with minimum constraints. A multi-use space within the workplace at rg+p. How does agile working succeed in practice? There is no ‘one size fits all’ approach to agile working. An agile office design that fits for one individual or organisation may feel completely wrong for another. For agile working to be a success, a business should make it a part of the culture. 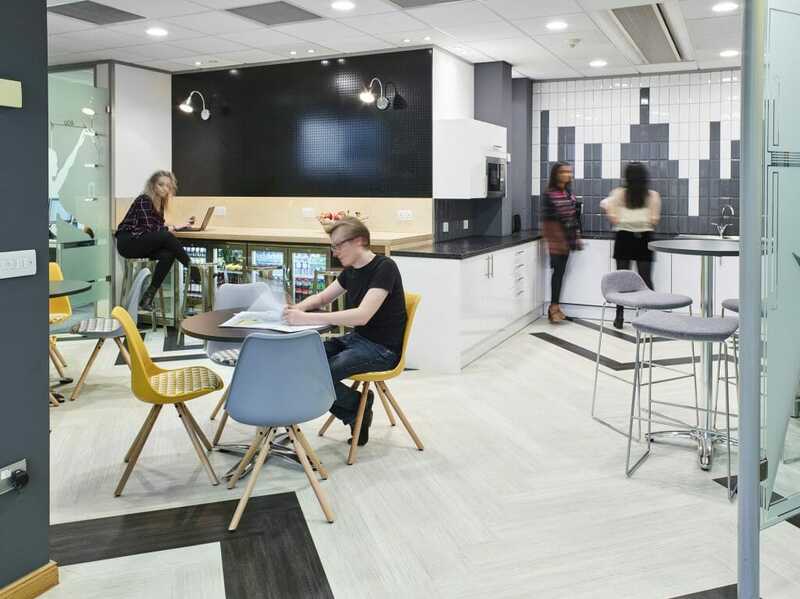 By providing your employees with a workplace design that works for them, you can begin to create a productive, creative and motivational environment where gains will be made on individual and organisational levels. Here are some of the fundamentals for you to try if you’re thinking of taking an agile approach in your own workplace. Have a structure, this may sound counterintuitive but factors such as flexible working and giving employees autonomy require some boundaries, even if they aren’t rigid. Ultimately, the success of an agile working environment can be measured by productivity and outputs. 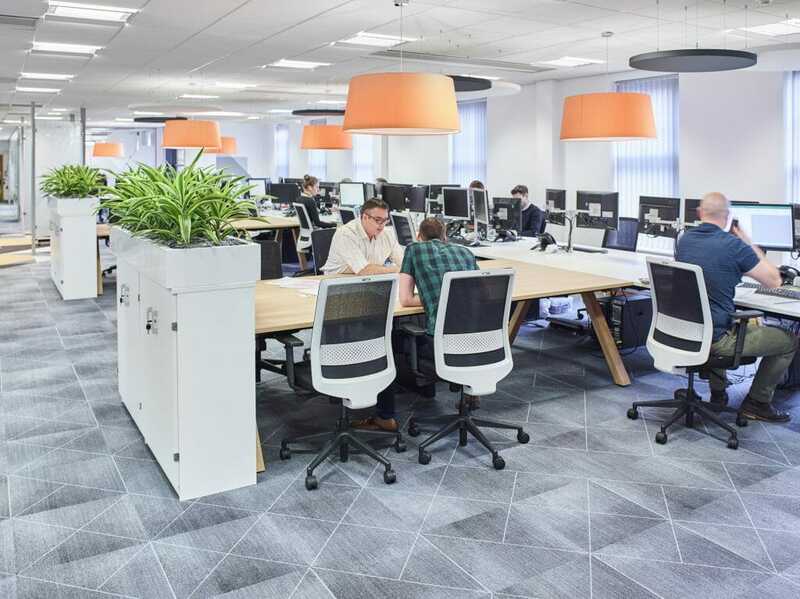 If you’re looking to transform your workplace into a more productive, efficient and successful environment in which your employees can thrive, we can help. Get in touch to arrange a free workplace assessment, or to talk to one of our specialists about the needs of your office space.